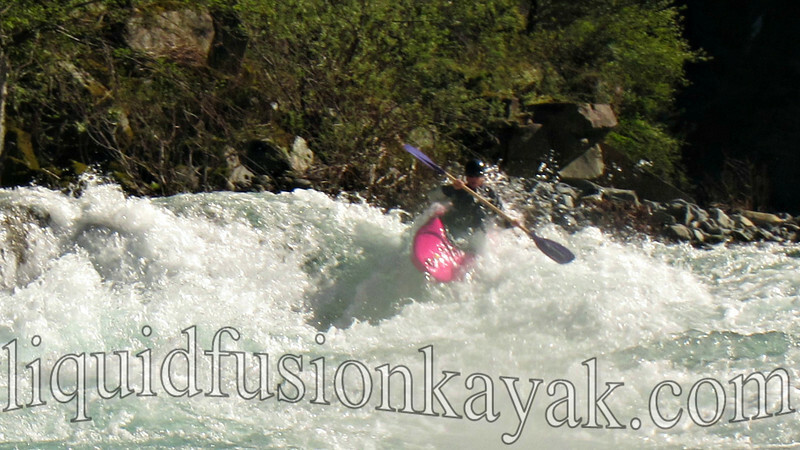 Liquid Fusion Kayaking: Winter is Coming? The Mendocino Coast seems to be in a bit of a storm pattern. Rain and large ocean swells make us think that winter is coming but warm temperatures make it feel more like we are in the tropics. Of course you know that we love rain (and California desperately needs it). Rain makes our wild mushrooms grow and our rivers flow. 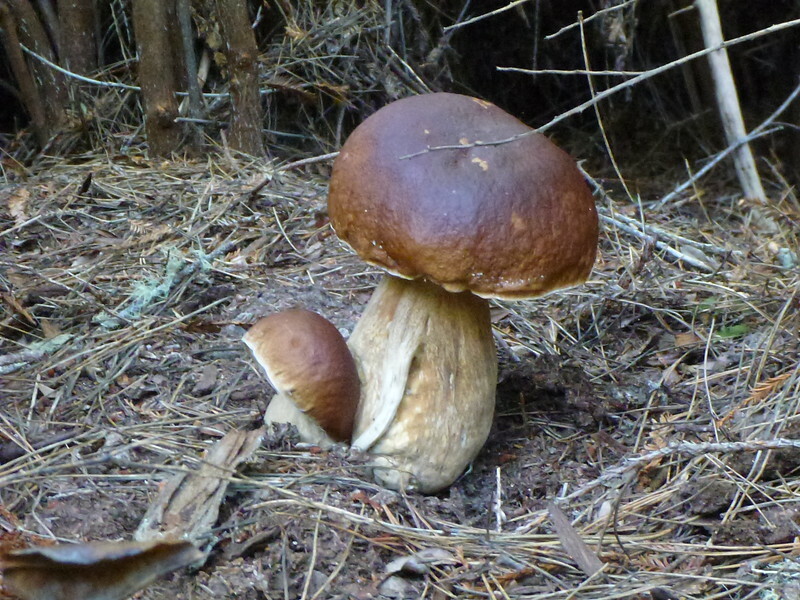 The small storms that we have been getting have been enough to trigger our wild mushrooms, but it will take a bit more to get our Mendocino Coast Rivers running. To the north of us, whitewater boaters are enjoying runs on the Smith and Trinity Rivers (quick Jeff - let's clear the schedule and head north). Large ocean swells can be a blessing and a curse in the kayak business. Personally we love them!!! We love going out to the headlands and witnessing the power and beauty of our wild Pacific Coast. 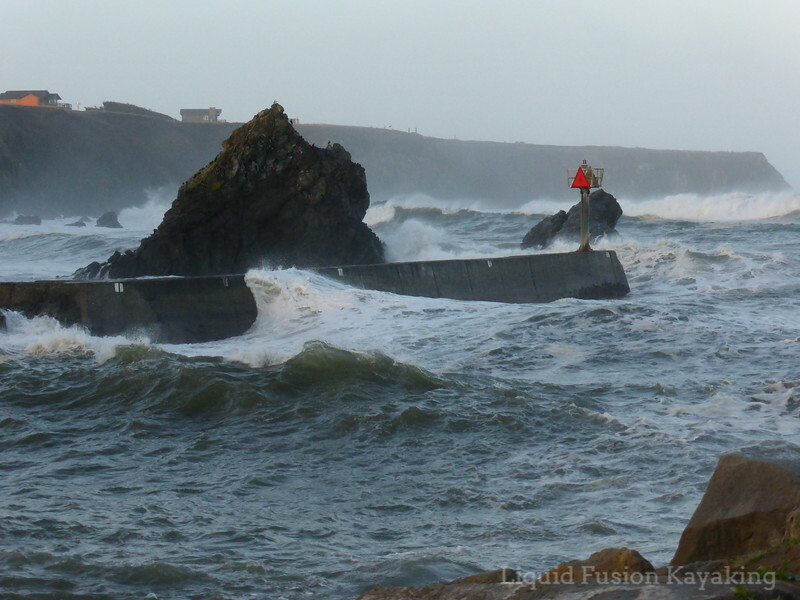 Noyo Harbor entrance during a large Pacific Swell. The Mendocino Coast also has some awesome surf breaks that take a larger swell to work. Some are friendly to teaching so if you are interested in kayak surf lessons, give us ring. Whether you are looking to get started, get a tune-up on the the basics, or are ready for more dynamic maneuvers on a wave or are training for a surf competition like Davenport or Santa Cruz, we can build on your skills. For the Fall/Winter 2014, we are offering a special on private lessons. This is a great opportunity for you to get completely customized and personalized instruction. Here's a link to our private lesson special. For those that are doing their holiday shopping, they also make great gift certificates. Planning for 2015 is underway . . . Please contact us if you have any ideas for classes or events. Strong ocean swells are definitely for the experienced paddlers out there, but when the challenges are high, the sense of adventure is at its peak! 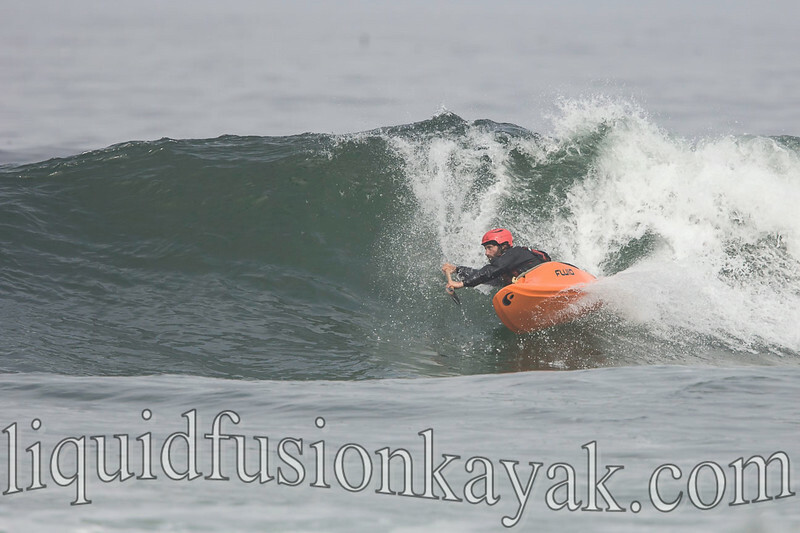 Nice pictures of the kayaks riding the waves!